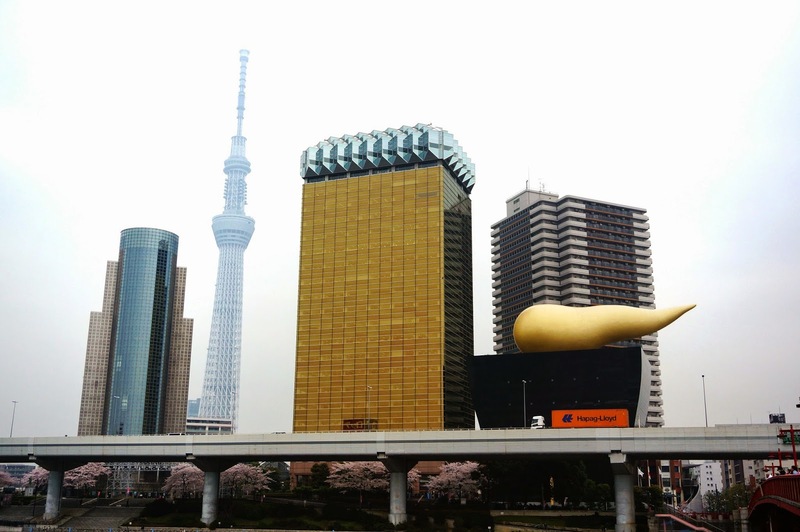 When I think of Tokyo I think of a modern futuristic city. 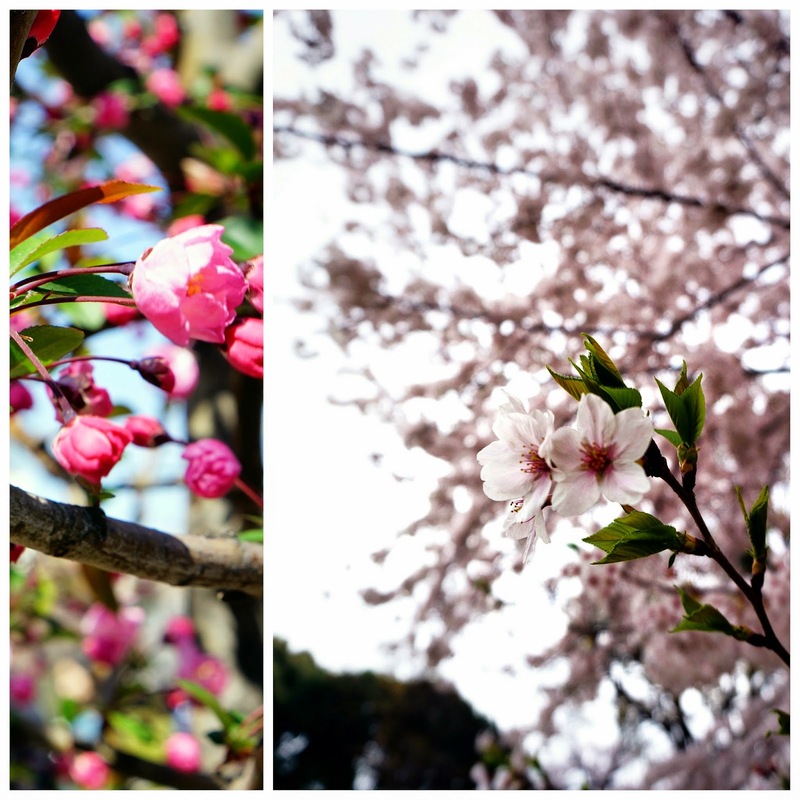 But when I'm present in Tokyo, it's such a calming, traditional, and striking city. I didn't think I would like it this much until I went to the temples to cleanse my mind and just feel the culture it has to give. Sometimes being in a busy environment too long really blinds a person from all the amazing natural things behind it. 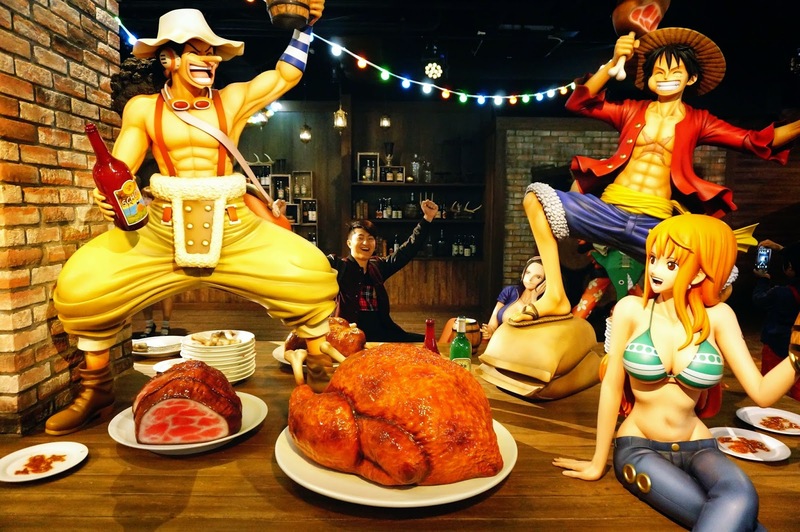 Although seeing the culture is important, of course you don't want to miss out the modern side of Japan and the amazing art and food culture. Here are few places that I stop by for those who would like some travel tips. Asakusa Sensoji Temple - Asaskusa is a very culture-istic part of Taito, Tokyo, Japan and this temple is one of their famous and oldest temple in Tokyo. 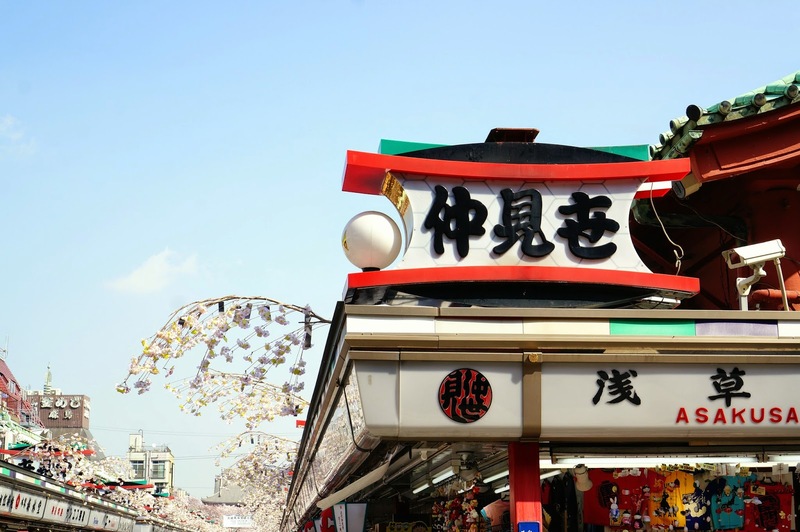 Here's a picture of the gate Kaminarimon meaning "Thunder Gate"
Once entered into the Sensoji Temple gate, there is a long street called Nakamisedori with traditional snacks and souvenirs. And at the end is the temple itself with many people worshipping. 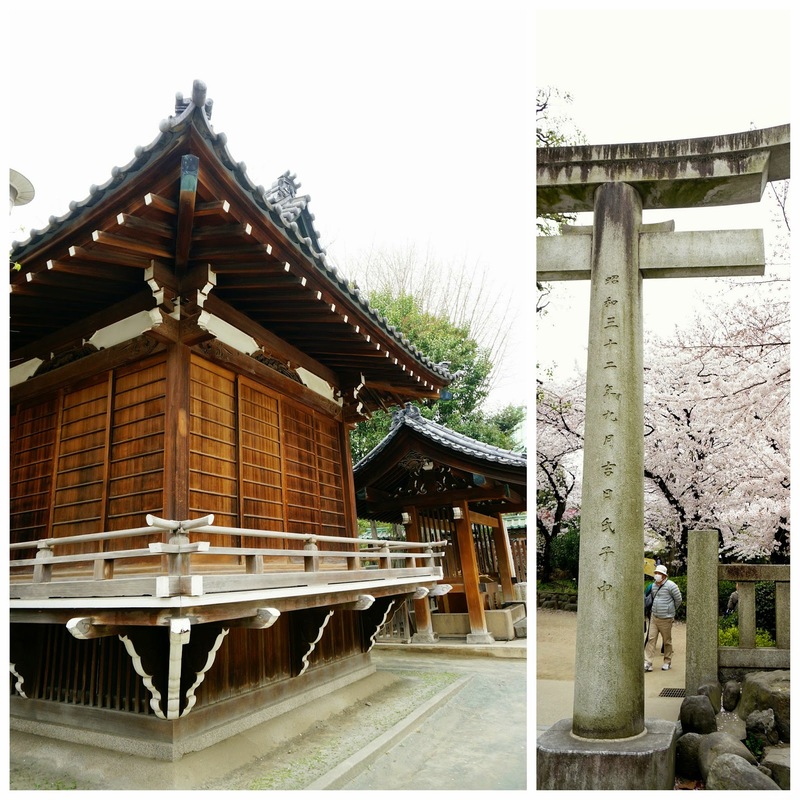 Shrine near Asakusa which honors their god and cow in particular to heal their health. Ooedo Onsen Monogatari - We were very happy to find an onsen house "Hot Spring - Bath House" with a japanese theme park linked into make a very great traditional experience. 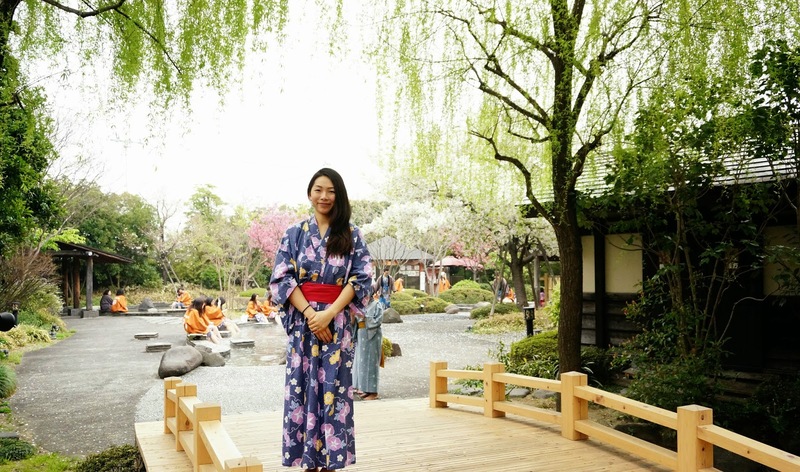 This onsen house has a few different onsens, a beautiful japanese garden, traditional food, traditional games, souvenir shops, entertainment shows, accommodation and massages/fishy pedicure. 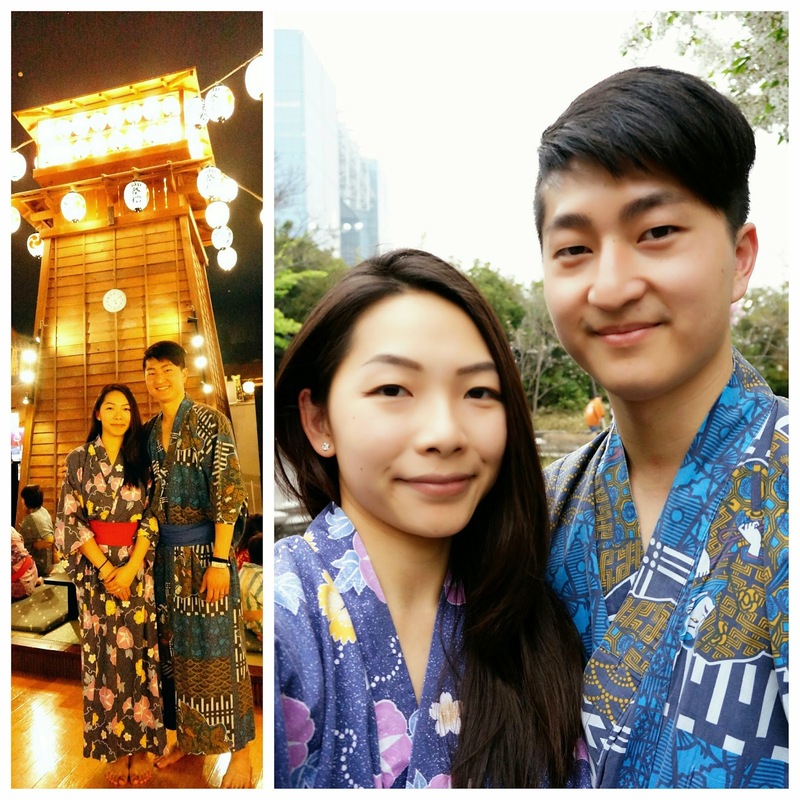 Here's a picture with my husband in our Yukata's "casual kimono that you get to choose from to use their facilities. 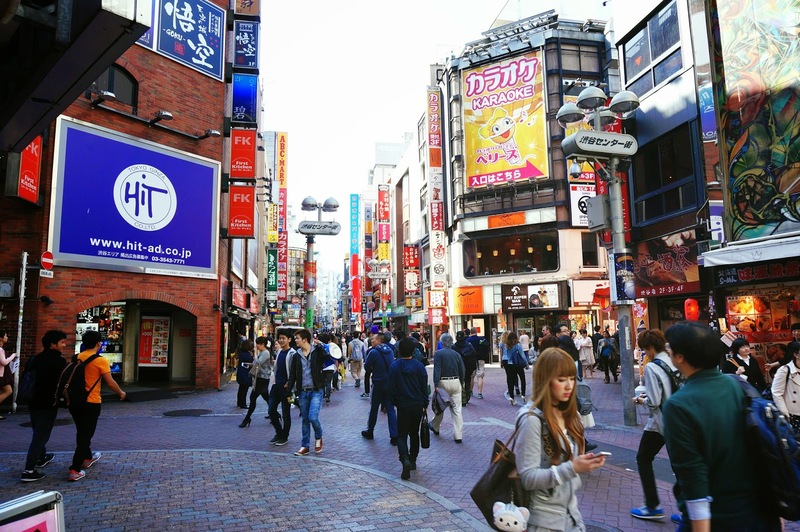 Shibuya - is a fashion district with many shopping areas. Very busy, modern and has many great yummy restaurants. 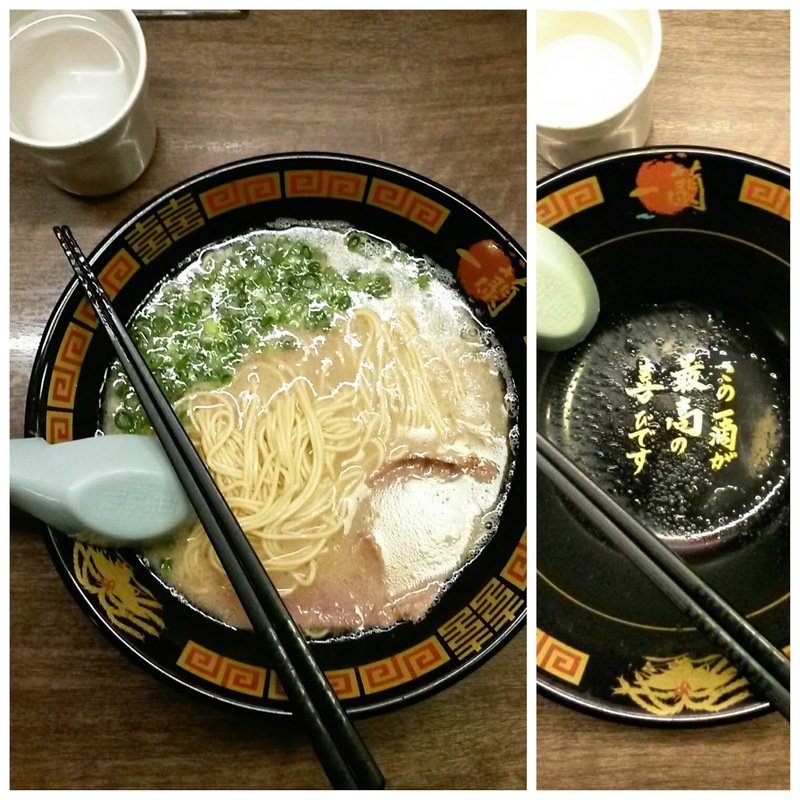 Below is one of the most richest broth, tender pork, perfect noodle texture, literally the best ramen ever at Ichiran's. 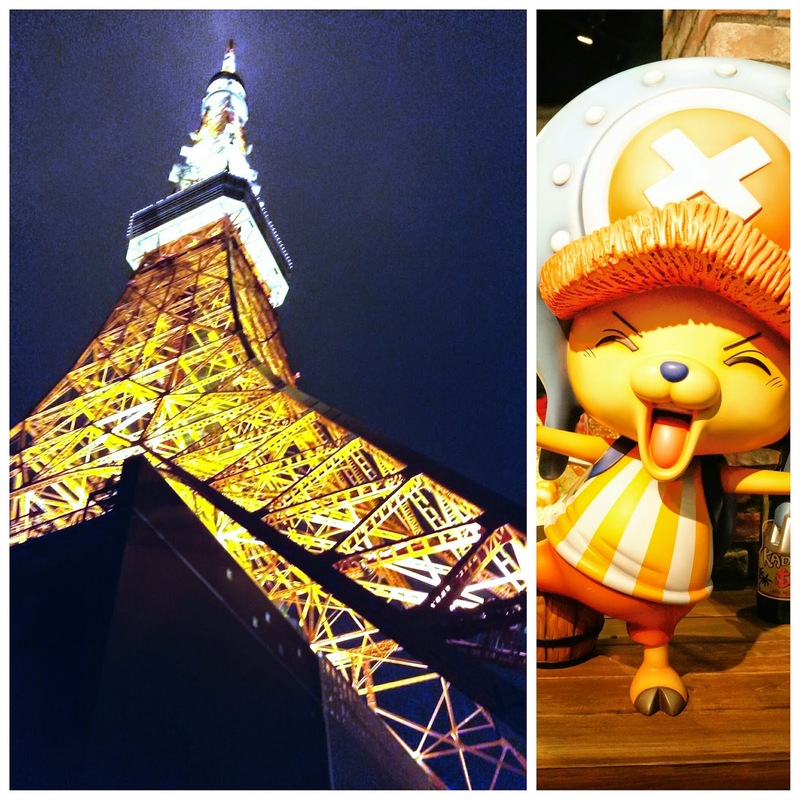 At the Tokyo Tower, we were lucky enough to head back at the right time to see the "One Piece" Museum. I don't know much of the story line but going through this museum showed me an interesting manga. Luckily my husband is a big fan and he explained to me the details and enjoyed it very much. 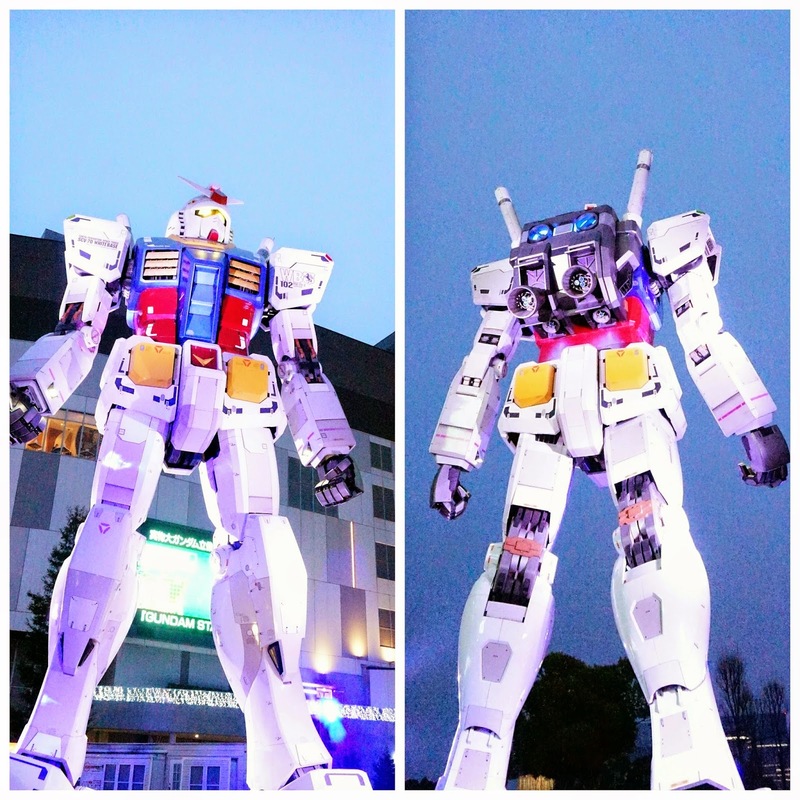 Near Odaisha, there's a scale of 1:1 Gundam with very precise details and it was really striking to see. 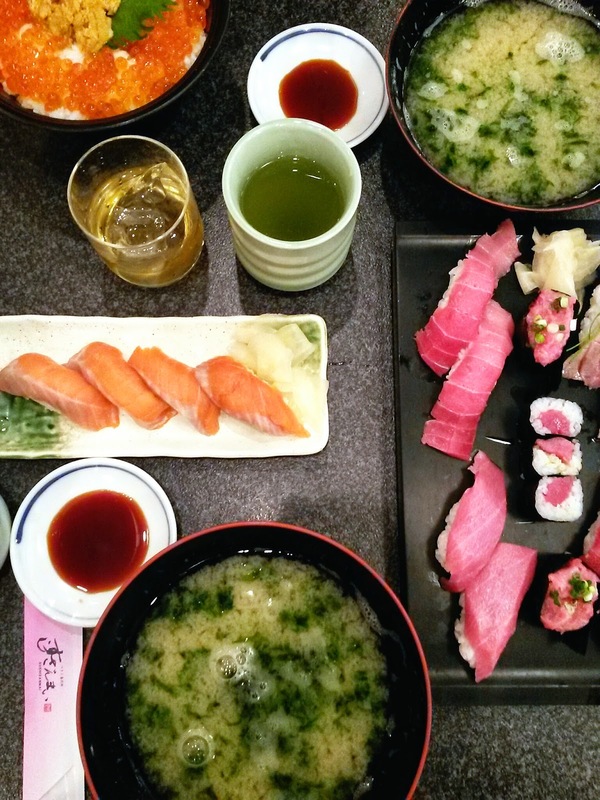 Now, what's Japan without showing at least one of their popular art of Sushi. Hope my travel diary gave you some tips of where to go. Let me know in the comments below where you would like to travel to?